The day kinda started out like this. 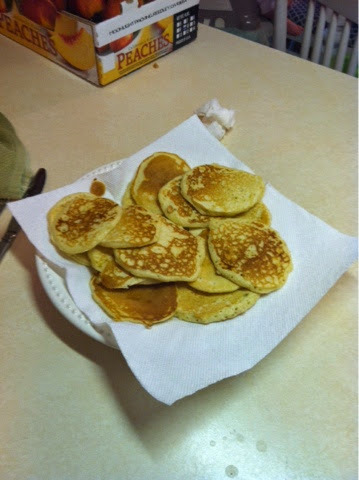 E was up super early to check on the pancake progress. At which point I realized all the butter was in the deep freezer and the recipe called for 1 3/4 TABLESPOONS of baking powder not 1 3/4 teaspoons. So I quickly realize and do the conversion and then just dump all that we have because we definitely did not have enough. Then I ended up with .5 million leftover pancakes but overall we were on schedule to get done praying 10 minutes EARLY so we could take pictures. 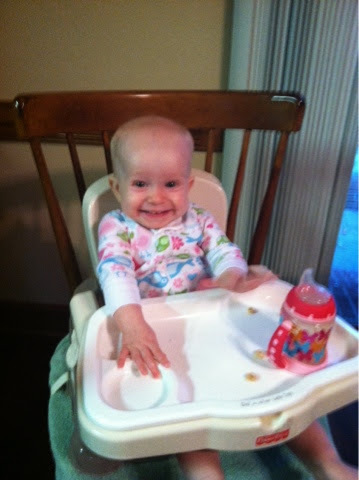 E was dressed by 7:23… Sometimes she has not decided on her breakfast until that time! 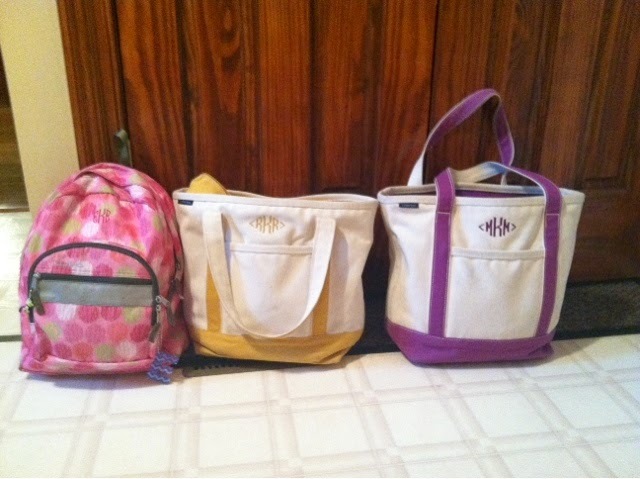 I got all the bags packed… Yes the bags… all 3 bags. Small little detail I did not mention the other day because I didn't want to is… M's first day of MMO was Wednesday too. We prayed in the chapel as usual. And then it was time for pictures. 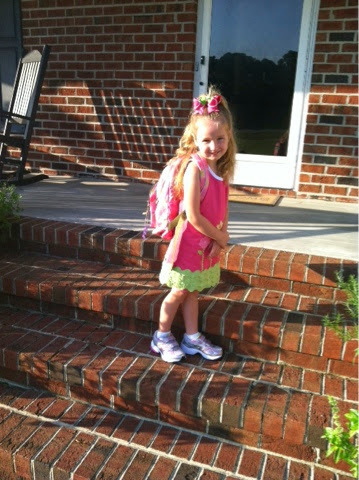 Obligatory first day pics. Well funny thing about that camera. Amongst the iPhone, M and real camera getting juggled into position for stair climbing, guess which did not get fully secured. Yep. The real camera. The one that we finally settled on last year after the Christmas program focusing problems and stuff. FORTUNATELY the real camera's retractible lens is a bit rough for the wear but still works. So between the camera incident and R's meltdown and E's excitement and the kitchen looking like a freight train came through but spared everything except the clean dishes in the dishwasher - I was able to drop everyone off to their respective rooms and not cry. I knew I had to hold it together for M at her drop off so I really just gave her a kiss and plopped her on the floor. R was in her 'normal' spot so not big deal except M was there with her. E got organized in her class and I stole a glance or two or ten into the MMO rooms to check on M (because I did hear her howling when I was in the hallway with E) and she was great. Then I went my merry way to work… sans bebe - in or ex-utero. I hadn't done that since October 2012.